From tempting potential pollinators with alluring colours and luscious nectar, to brandishing ripe fruits and berries before eager birds, trees will go to great lengths to multiply. Join us as Tony Fleischmann, long time arborist and tree enthusiast, reveals the "seedy" side of the urban forest. Recommended for those who don't blush easily! Tony Fleischmann has worked in the commercial, municipal and utility arboriculture field for over 25 years. He is a Certified Arborist with the International Society of Arboriculture and a Past President of the Ontario Chapter. Tony has presented a variety of seminars, workshops and tree talks to various organizations including the ISA, Canadian Forestry Service, OMNR, Ontario Urban Forest Council, Landscape Ontario, HGTV, Rogers TV, Ontario Parks Association, Composting Council of Canada and Canada Blooms as well as a number of educational institutions. My name is Monica Kelly and I am currently a graduate student with the university of Western Ontario. I am living in Toronto for the summer and am conducting research on youth, civic involvement, and urban gardening in Parkdale. 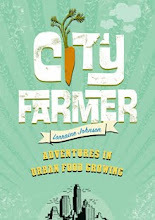 I recently picked up your book "City Farmer" and I am finding it very insightful in terms of understanding gardening in an urban context. I would like to very much have tea with you and hear your thoughts on my research if you are interested. You can reach me at mkelly87@uwo.ca. The men are virile by nature and some of the time sterile too with attendant impotency and poor sexual life. It includes three methods: scarification, stratification, as well as sowing. Plenty of the varieties need the three actions, although some might need even more or lower than these three ways. Great post i really like it Gifts to Pakistan .